The teacher training workshops were facilitated by Mr. Panos Andreou, research associate of the Institute of Modern Greek Studies. Associate Professor of Historical Linguistics at the Aristotle University, George Papanastasiou, who is also the Director of the Institute of Modern Greek Studies, gave 2 lectures on the history of the Greek language and its speakers and the orthography of the Greek language. He also gave 2 lectures on the language of Herodotus and Aristophanes exclusively for students who study Classical Greek at the VCE level. 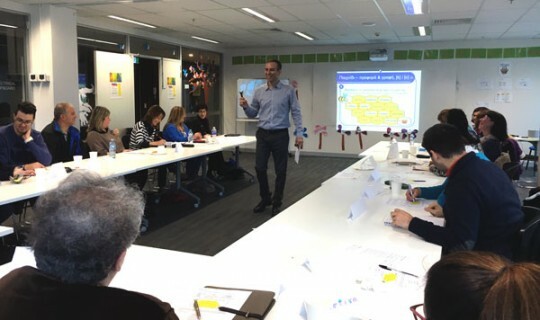 The program aimed at the professional development of Greek teachers in Victoria and lasted nine days, from 19 to 29 September 2016. The impact of the program on the educational community was exceptional. The participation of teachers from various schools exceeded all expectations. A total of 440 certificates of participation were issued for the 110 teachers who participated in the workshops. 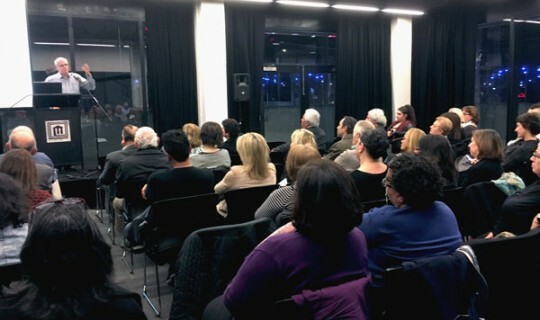 In addition to its educational and pedagogical value, the importance of the program lies in the fact that the Greek Community of Melbourne invited all teachers of Modern Greek in various schools in Victoria to participate, implementing the concept that educational issues require cooperation and collaboration.